Which Android Security Tools Are Worth Your Time? As Android smartphones and tablets grow in popularity, it's no surprise that the number of malware outbreaks is growing. Mobile antimalware apps can give your phone or tablet an extra layer of protection--but which ones do the job? Independent security testing lab AV-Test evaluated 41 virus scanners for Android, including those by mainstream security companies like Norton and Trend Micro. 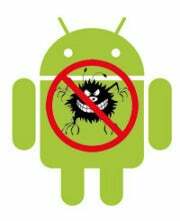 AV-Test used the Android emulator built into the Android SDK and ran each of the apps through a series of malware detection tests. To ensure that everything lined up, all the results from the emulator were tested on a real device. Only 7 of the 41 virus scanners had detection rates above 90 percent, with over half of the remaining apps having detection rates under 40 percent. The top 7 apps were Avast Mobile Security, Dr. Web Anti-virus Light, F-Secure Mobile Security, IKARUS Mobile Security Lite, Lookout Mobile Security, Kaspersky Mobile Security Lite, and Zoner AntiVirus Free. Out of those 7, Kaspersky and F-Secure had the highest detection rates, followed by Avast. AV-Test was quick to point out that, just because an app wasn't included in the top 7, that doesn't mean it didn't provide some form of protection. Several apps with detection rates over 65 percent included useful features such as remote wiping and locking capabilities. AV-Test also mentions that several of the apps in this group did an overall good job at detecting malware, missing only one or two strains that may not be present in all regions around the world. Apps from vendors like AVG, Norton, BitDefender, and Trend Micro all had their fair share of strengths. Most of the apps tested had both free and paid versions, though AV-Test did not find any difference between the paid and the free version of an app when it came to malware detection. As long as you have an app from a major security software vendor, you'll likely have adequate coverage. McAfee seemed to be the only major security vendor whose app had less than a 65 percent malware detection rate. So far, we haven’t seen any doomsday-level attacks in the Android world. Security experts say the number of malware variants is growing, but we haven’t had a single widespread outbreak that’s brought Android users to their knees. At least not yet. The most common way malware gets distributed in the Android universe is that malware makers will rip off popular games and apps and sell ones laced with malware under their own title. If you aren't sure who makes a particular app, a quick Google search can save you hours of headaches later. Also, make sure you’re installing the app from a trusted source. While there have been a few breakouts of malware in the Android Market, most of the strains we hear about in the news come from third-party markets that are usually made up of pirated applications. Mobile malware is still in its infancy, but as more and more of our personal data ends up on our smartphones and tablets, it’s increasingly important to safeguard our devices from malicious software.